Being busy is not an excuse to throw healthy eating out the window. Yes, it may be a little harder to get in healthy meals when you’re on-the-go, but with a little thought and planning ahead, it is possible. The problem that many women encounter on busy days is not only making unhealthy choices, but not eating ENOUGH throughout the day…and then just completely going crazy at night and eating everything in sight. Sound familiar? Well, one way to solve that problem is to eat enough during the day, and there is really NO reason why you can’t get in some decent healthy meals and snacks, even when you have to eat on the run. Just make sure to stay stocked up on portable, healthy foods, and you absolutely can stay on track even on those busy, on-the-go days. These may not be PERFECT options, but screw perfect. It’s better than just snacking on junk food all day. Sometimes it’s not about eating perfect, but just doing as good as you can. It doesn’t have to be “all or nothing”. If you have to eat out, you can almost always find some decent food choices at most restaurants. My “go-tos” are a burrito bowl or salad at Qdoba, or a grilled chicken sandwich or grilled nuggets from Chick-fil-a. Like I always say, just because you can’t eat “perfect”doesn’t mean you have to go totally off the rails and eat candy bars and fast food every meal. If you really want to, you can make it happen! No. Don’t be that person. You’ve probably done that every year before and it hasn’t worked for you, right? What’s going to be different this time? Having that mindset is one of the reasons you probably don’t have the results you want at this moment…because you’re always saying you’ll start on Monday, or next month, or after this event, or that event. You’re waiting for the perfect conditions to start eating better…and that just ain’t gonna happen! See, there are will always be holidays and vacations and parties. That’s life. There are always going to be things that can throw you off track with your healthy eating…but that’s NOT a reason to just throw in the towel and not even try. The thing is, you don’t have to be PERFECT with your eating, just consistent. 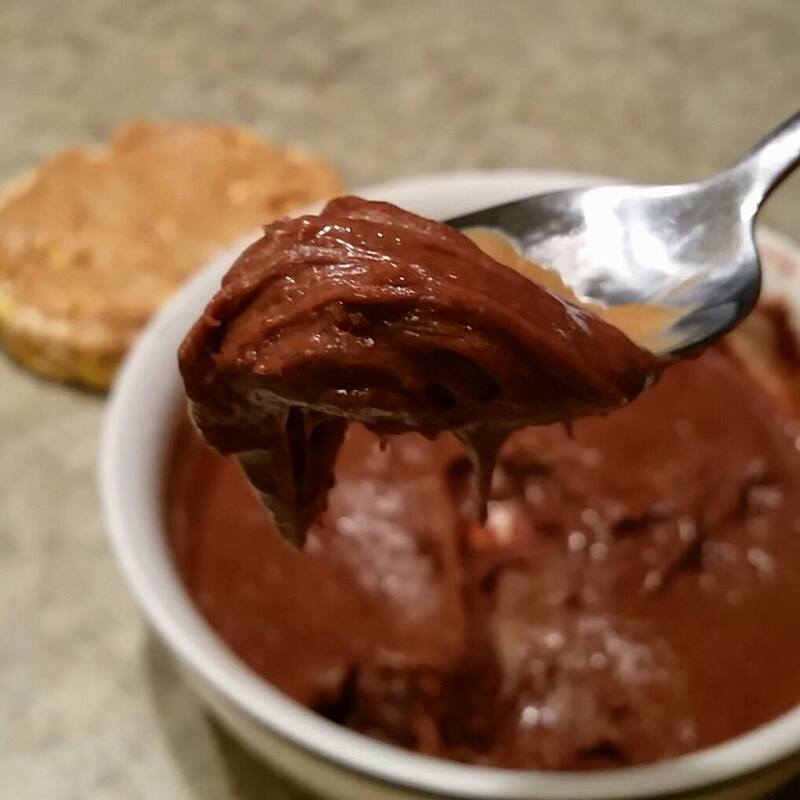 So you have a splurge and eat too much dessert one day-so what? Move on. Have a few too many drinks one weekend? So what? Move on. Just because you had one bad meal or one bad day of eating, doesn’t mean you ruined your whole diet. It only becomes a problem when you develop the, “I’ll just start over on Monday” mindset and let things spiral out of control all weekend. You have to learn that you can have a “bad” meal and then just MOVE ON. It’s part of life. It happens. There’s nothing magical about Monday. There’s nothing magical about January. So why not start with your next meal? Why not start right now? You are always one meal away from making a healthy choice! Think about it this way: you have SEVEN days a week to eat healthy. If you eat 3 meals a day, that’s 21 meals a week. Even if you have 7 meals a week that aren’t so healthy…that still leaves 14 meals where you CAN eat healthy, which is still 75% of the time, and that’s pretty darn good! Maybe that’s not “perfect”, but it’s better than 21 not healthy meals, right? So let’s define eating “healthy” real quick. That may mean something different for everyone, but I think overall we can agree that eating fruits, vegetables, natural and minimally processed carbohydrates, and lean proteins is healthy. So if you’re eating those foods 75% of the time, it’s okay to have some “treats” and not so healthy foods mixed in there. 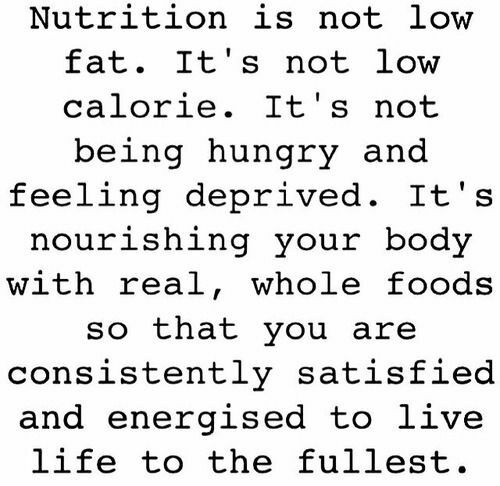 Nutrition doesn’t have to be all or nothing. It doesn’t have to be black or white. Find the middle ground. Find the balance. That is how healthy eating becomes a lifestyle, and how you’ll be able to finally lose the weight and keep it off. The people who have mastered the whole balance and moderation thing are the ones who don’t stress about the holidays and who stay in shape year round. They’re the ones who can be flexible and enjoy foods they love without totally falling off the wagon…because they realize that there is no “wagon”! Meanwhile, the “Monday” people will always be the ones on and off a different diet. They will always be the ones yo-yo dieting, gaining and losing the same weight over and over again. You don’t want to be that person, right? Well, then get rid of the “screw it” mindset! Yes, I know, it’s harder to eat healthy during the holidays. Yes, there will be more temptations, and yes, you probably will have more “splurges” during this time of the year. 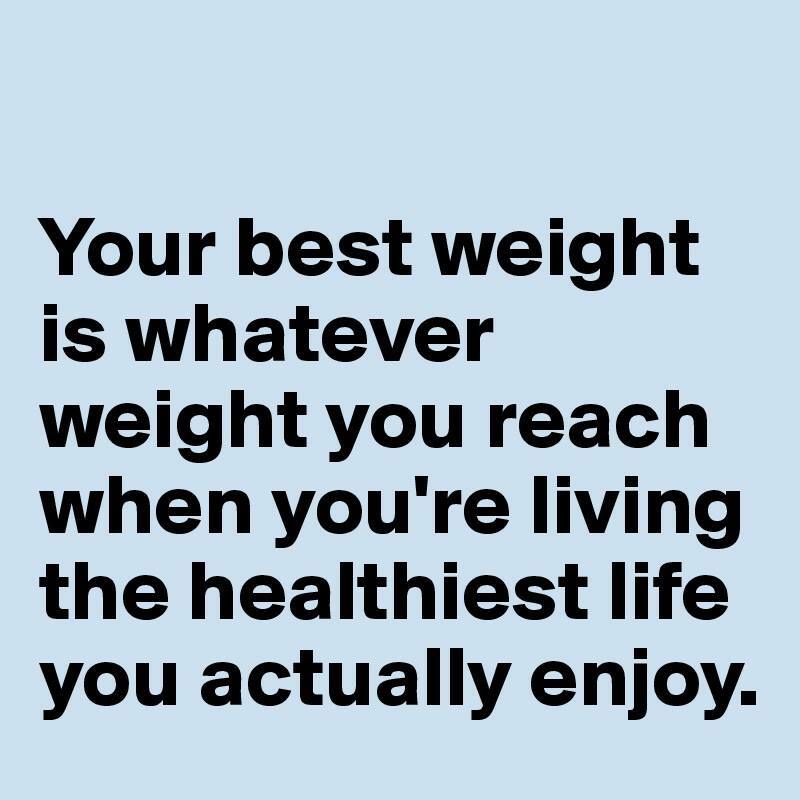 But remember, even if you give in to those temptations, even if you have a few extra “bad” meals than normal, that doesn’t mean that every single one of those 21 meals you eat in a week have to be unhealthy. Show some restraint and self control. Show that you care about your health enough to not eat like an idiot. *If you know you are going to an event or holiday party, eat mostly protein and vegetables earlier that day, every 3 hours. The worst thing you can do is to try to NOT eat that day. 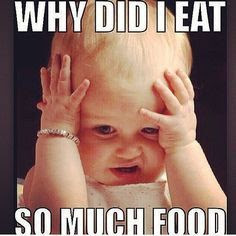 That way you won’t be starving when you get to the party and then just end up completely bingeing. *Fill up your plate with protein first(turkey, ham, etc. ), and then sample a little of everything else on your plate. That way you will feel satisfied but won’t be over doing it. 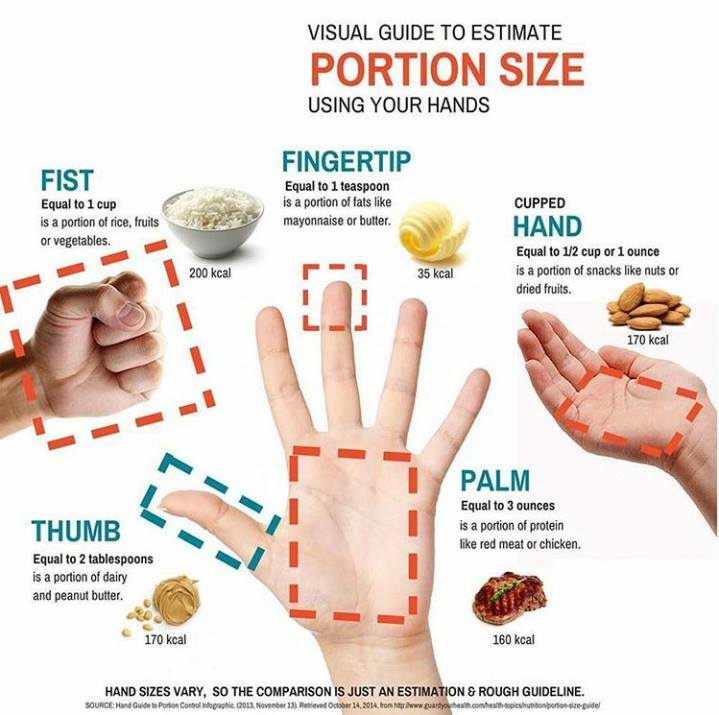 Portion control is key. Also, limit yourself to ONE plate. *If you want to drink alcohol, skip the dessert. And if you want dessert, skip the drinks. Remember, it’s all about balance. It’s all about give and take. Splurge a little here, cut back a little there. Practice some self control sometimes. You don’t ALWAYS have to eat the dessert! *If you’re really struggling with eating healthy, then make it a goal to have at least ONE healthy meal a day. Pick what meal that will be, and be consistent with it. For example, maybe you decide that lunch every day will be your healthy meal-so each day you will eat a lean protein and a vegetable and fruit with that meal. Plan ahead and prepare it in advance for the next day. Focusing on at least ONE healthy behavior is better than nothing at all! 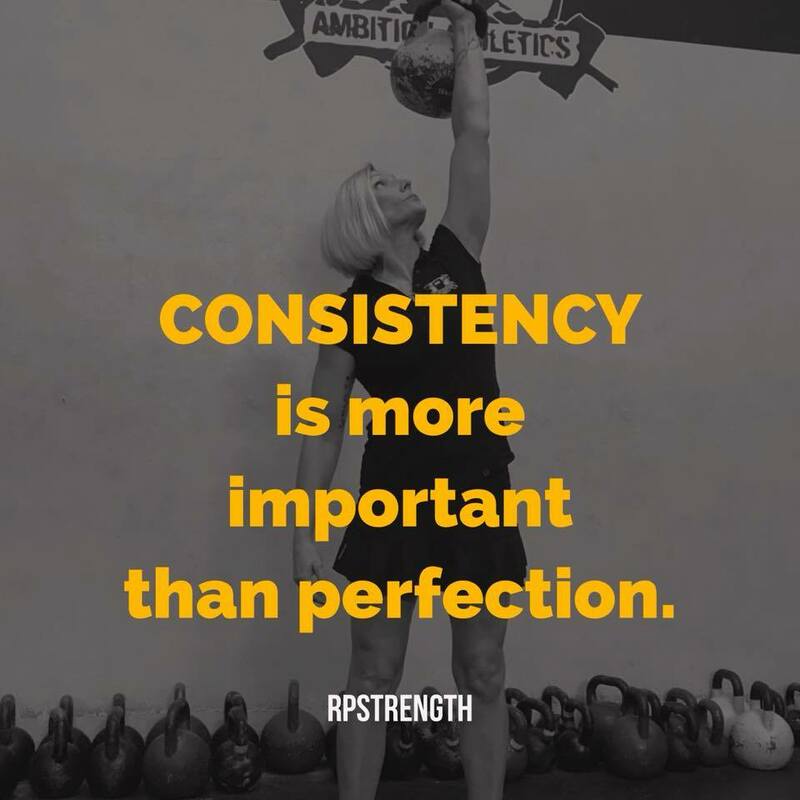 *Be consistent with your workouts. Make it a goal to do something every single day, even if it’s just a walk around the block! Or make it a goal to do a 15 minute workout 3 times a week. If you think 15 minutes isn’t enough, you’re wrong! You can do a lot in 15 minutes. And you don’t even need a gym. All you need is your bodyweight-squats, lunges, pushups, glute bridges…the list of things you can do at home is endless. Just google some home workouts and get MOVING! *Be okay with gaining a few pounds… and don’t obsess over the scale this time of year. Life is not about your weight or your body fat percentage. It’s the holidays. It’s okay to relax and enjoy yourself a little! It’s okay to enjoy your Grandma’s home-made mac and cheese. But a few pounds is NOT twenty pounds. Relaxing a little doesn’t mean stuffing your face with everything in sight. If you use the 75/25% rule when it comes to your nutrition, you’ll be okay. 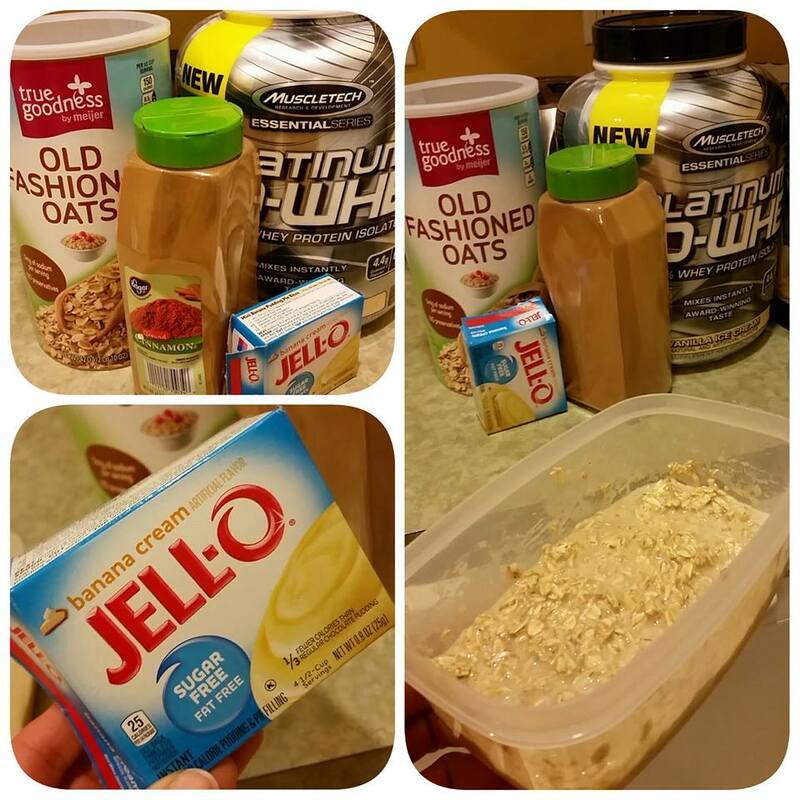 *Use those extra calories you may be consuming as fuel for your workouts! No, it’s not about exercising to burn OFF those calories or to punish yourself for eating “bad”-it’s about using the extra calories to push yourself and lift heavy! This is a great time of the year to focus on your workouts and setting goals in the gym, like trying to do a certain number of pushups, your first pullups, or being able to squat your bodyweight. Take the focus away from the scale for a little bit and focus on what your body can DO. Taking a break from dieting is good to do every now and then anyways, and this is the perfect time of the year to do it! That doesn’t mean not eating healthy, it just means eating a little more. So while you may not be able to eat perfect during the holidays, don’t use that as an excuse to eat like crap 24/7. If you get a flat tire you don’t say, “Screw it, I might as well slash all the others”, right? So why would you do that with your nutrition? Don’t make it harder on yourself come the New Year. If you can stay somewhat on track for these next two months, then while everyone is crash dieting in January trying to lose those 20-30 pounds they gained in November and December, you will be over here just doing the same thing you’ve been doing! Which person do you want to be? Since it’s getting cold here in Kentucky, it’s the time of year when I love to make soups and chili in the crockpot. Add all ingredients to crockpot except vegetables. For sustainable fat loss, it’s important to take baby steps. You do NOT have to completely overhaul your entire diet in one day. In fact, you’re most likely setting yourself up for failure if you try to change your eating habits in one day. Instead, focus on a few habits that you can incorporate into your lifestyle, and let the results come slowly over time. You will have a much easier time maintaining your results that way and in making it a lifestyle change, rather than just another quick fix diet. Eat your structured meals and snacks, but eating between meals when you’re not even really hungry is a quick way for extra calories to add up. Protein and vegetables will help you to feel fuller longer, and when fat loss is the goal, you’re going to need filling foods that are low in calories. Protein and veggies do the trick. You can only “guesstimate” how much you’re eating for so long. 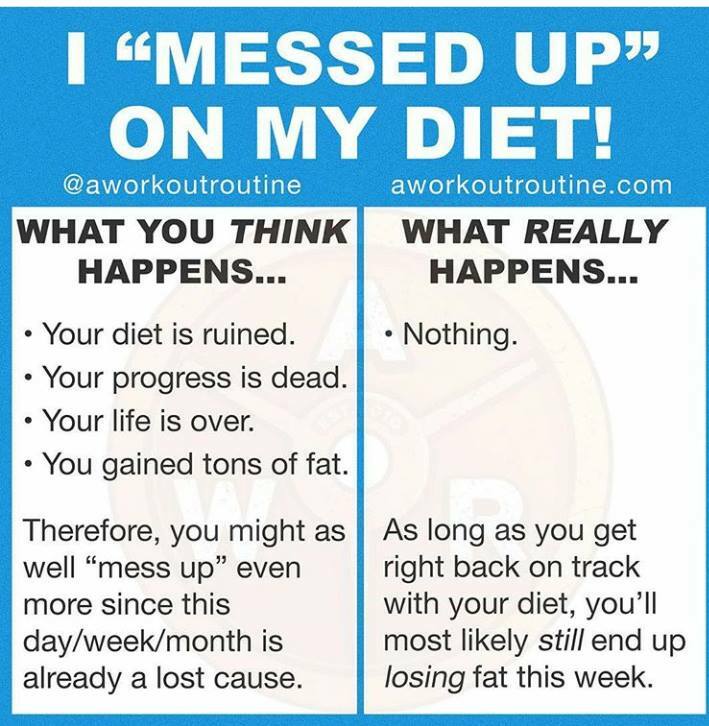 If you feel like you’re spinning your wheels and that nothing is working, but you’ve never tracked calories or macros, it’s a good time to start. This goes along with the previous tip. 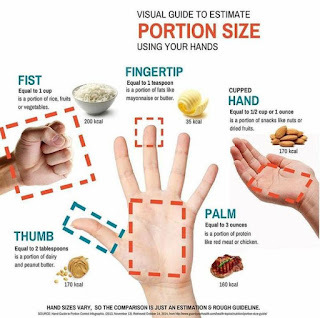 Portion control is key when it to fat loss. Most people have no clue what a serving of carbs or fats is and end up eating WAY more than they realize. Measuring or weighing out your food can help keep calories under control. You can even start by just using your hand as a guide! This is an easy way to cut back on calories without completely eliminating carbs, which is not necessary. With carb cycling, you simply eat more carbs on workout days when your body needs them most. On rest days, cut back on the carbs and focus on protein, vegetables, and healthy sources of fat. When you do eat carbs, eat them before and after workouts, when you body most needs them to fuel your workouts. This is not to say that eating carbs at night or not around workouts will make you fat, just that the carbs will give you energy for your workouts and help to replenish glycogen stores after lifting. Many people say they have tried “everything” to lose fat…but one thing they forget about working on is sleep habits. If you’re doing well with your nutrition and workouts, this could be the one thing holding you back. Most anyone who has been successful at losing and maintaining fat loss has mastered “food prep”. If you are prepared and have healthy foods on hands, you’re much less likely to grab dinner out or choose something not so healthy. Plus, it just makes life a lot easier when you have your food ready to just pop in microwave! 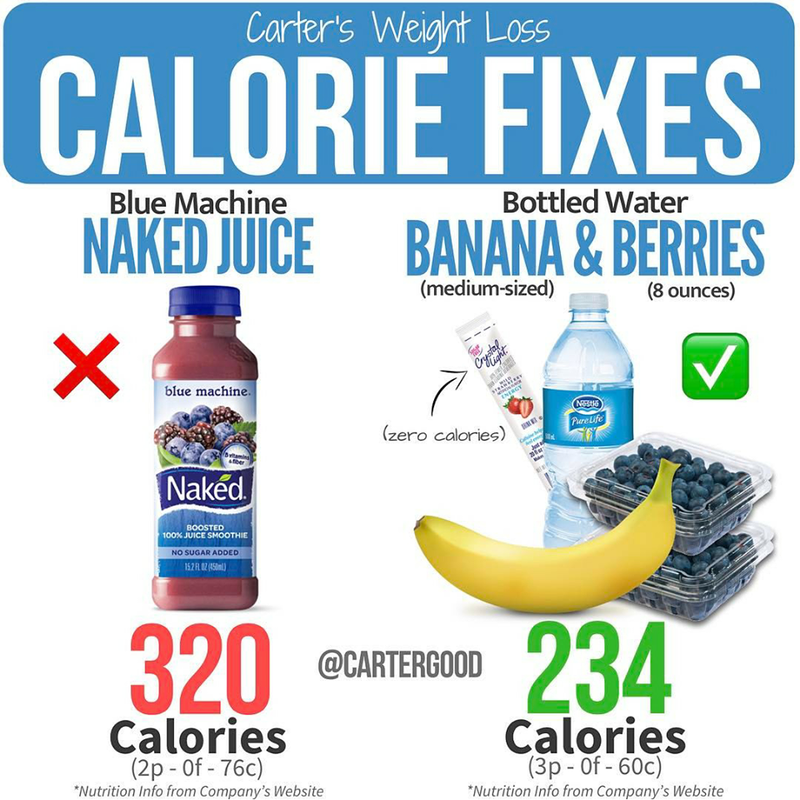 Liquid calories add up FAST! You will be much better off cutting out all liquid calories and drinking water, coffee, unsweetened tea, and the occasional diet soft drink if fat loss is your goal. 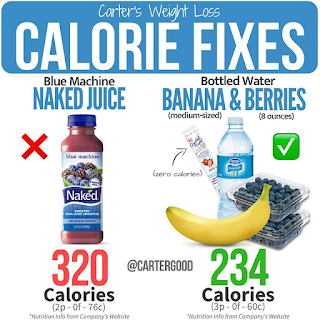 Nix the juices and health drinks, and eat real food instead. You shouldn’t be dieting 24/7, 365. It’s good to take a break from eating in a deficit every now and then. 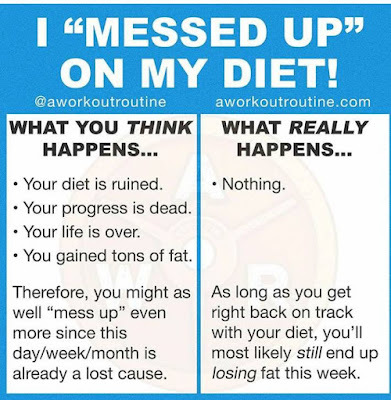 That doesn’t mean you just stop eating healthy and start eating like crap-no, all it means is that you take a few weeks or months and slightly increase your calories. This is where many women go wrong. 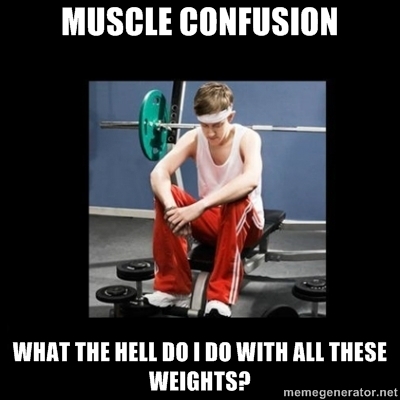 They focus on cardio, cardio, cardio for fat loss, when the key to truly transforming your physique is lifting WEIGHTS. Don’t be scared to gain muscle. Muscle is good for you! Cardio will only make you a smaller version of yourself, while weight training will cause you to be leaner and more “toned”. Restriction leads to deprivation, which leads to cravings and bingeing. One thing to remember is that there are no “good” or “bad” foods-there are only foods you should eat more of, and foods you should eat less of. Yes, you should be eating healthy foods most of the time, but having treats here and there and eating foods you enjoy is the KEY to being able to sustain this lifestyle and keep the weight off. It’s not realistic for most people to swear off all carbs and sugar FOREVER. When it comes to losing fat and keeping it off for the long run, you HAVE to find a nutrition plan that is sustainable. You HAVE to be flexible and balanced, otherwise you will spend your live on the unending dieting hamster wheel. Diets that eliminate entire food groups only work for the short term, and more often than not, you end up gaining back what you lost and more when you quit them. Remember: nutrition and exercise should make your life BETTER, not make you miserable. 6 pack abs aren’t worth missing out on life. 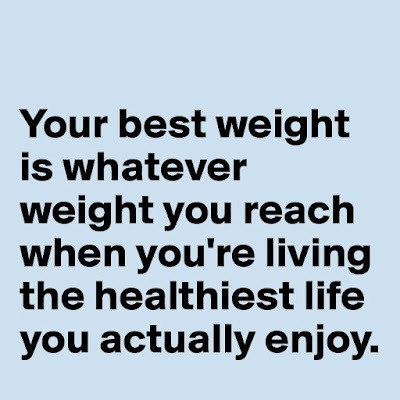 Reaching a certain weight on the scale is not worth sacrificing your mental health and well being. 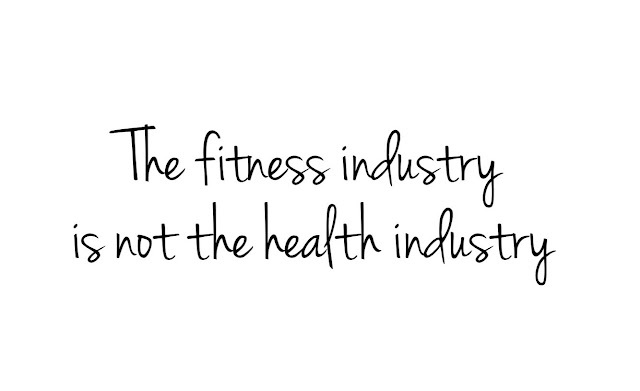 The fitness world would make you think so. Scroll through Instagram on Tuesdays for all the transformation Tuesday photos and you sure would think so. According to Instagram before and after photos, you can’t be happy with a little extra body fat. You should have 6 pack abs. You should constantly pick yourself apart and hate your “flaws” and strive for the perfect body. You can’t be”fit” unless you don’t have an ounce of bodyfat, right? 6 pack abs are always the ultimate goal. Because leaner is ALWAYS better, right? Well, I’m here to tell you, NO-sometimes leaner is NOT better. What do I mean by that? 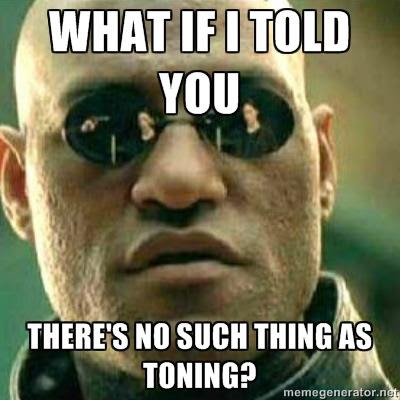 Well, let me first say, there is nothing wrong with physical transformations, or losing weight, or fat loss. Getting leaner for many people is great when it comes as a result of changing your lifestyle from one that was unhealthy to a healthier way of living. I’m ALL for that. But what about when you’re already healthy, as in you lift weights and do some sort of exercise most days of the week, and you eat your veggies and lean proteins and drink your water and all that good stuff? Is getting leaner always the ultimate goal? Is it ALWAYS a good thing? I don’t think so. Sometimes leaner is better. Until it’s not. Leaner is not better when it distorts your body image. It is not better when it leads to restriction and hours and hours of cardio, or pushing your body to exhaustion every single day. It is not better when your health suffers as a consequence(as in losing your period, for one thing). It is not better when it leads to your energy and strength suffering as a result. 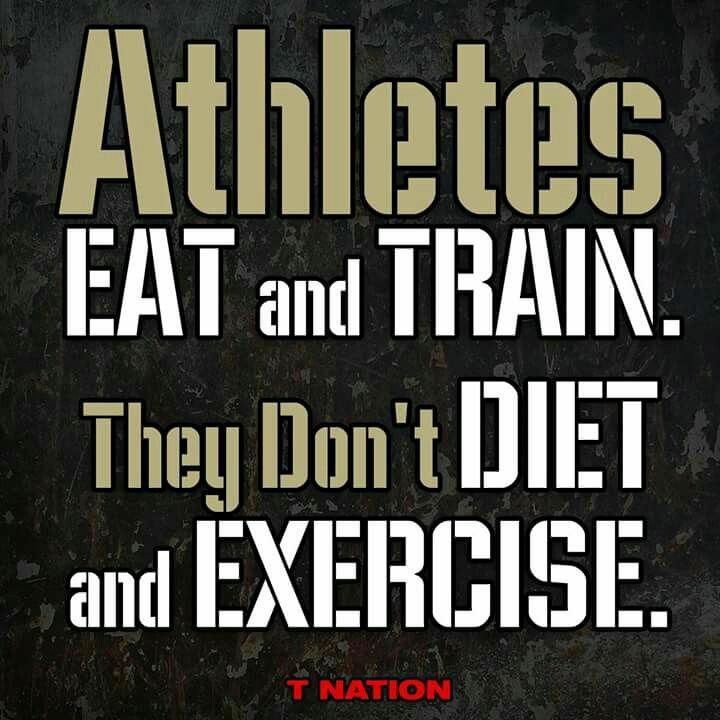 It is not better when working out and nutrition consumes your entire life. It is not better when exercise becomes more of a a chore or a punishment than something enjoyable and fun. It is not better when it interferes with your relationships or your ability to relax and enjoy life. It is not better when it makes you fear foods and think you “can’t” eat certain things. It is not better when your body becomes the only thing that defines you and what brings you your happiness. Sometimes the best transformations are the ones that are mental, not physical. Sometimes, gaining some body fat is better than getting leaner. Don’t ever sacrifice your health, mental OR physical, constantly chasing after leanness. No matter what the Instagram fitness models say, you do NOT need 6 pack abs or less body fat or smaller thighs to be beautiful or attractive or fit. 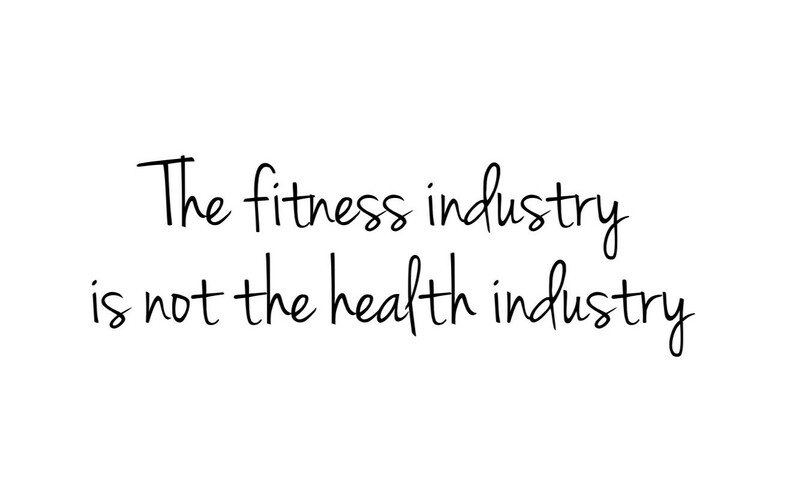 Remember, the fitness industry is NOT the health industry. Health, not leanness, should be the ultimate goal. If you are healthy (meaning you eat mostly healthy foods and exercise consistently), then you don’t always have to be chasing leanness! If you have been, and you’re driving yourself crazy, take a break from it. Change your mindset. Relax a little. Change your priorities. Doing so doesn’t mean that you’re lazy or not dedicated. It doesn’t mean that you’re not fit or strong or healthy. It actually may lead to being stronger and fitter and healthier! I want you to know that there is nothing wrong with being content and satisfied(even happy, maybe?!?!) 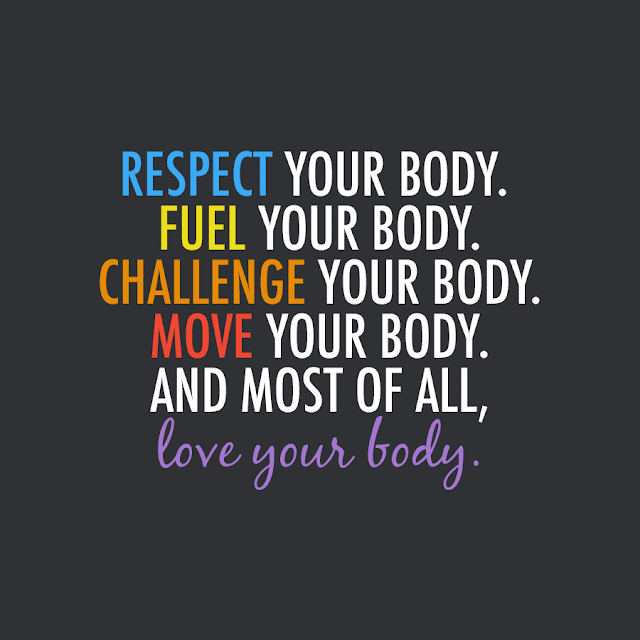 with your body as it is RIGHT NOW. Because you know what? Our bodies are amazing. They can do so much for us, and they should be treated with love and respect, not broken down and starved and deprived of what they need to function and thrive. It’s okay to want to improve your body and to be the best that you can be, but not when it’s at the expense of your health or mental well being. In a society where women are supposed to hate themselves and their bodies unless they fit the “perfect” ideal(whatever that is), be a rebel and be a woman who is confident, a woman who loves her body regardless of what body fat percentage or scale weight she is. We need more women like that. Your whole mindset about food changes when you view it as “fuel” for you workouts rather than the enemy. Many people, women especially, are scared of food-scared to eat “too much”, or scared to eat certain food groups, such as carbs. Which is why often times I find that many women are not eating enough, or just not enough of the right foods. OR they are restricting themselves and eating very little during the day or throughout the week, only to binge and eat like crap at night or the whole weekend. NOT a great way to get results or have a good relationship with food. Food is NOT the enemy. 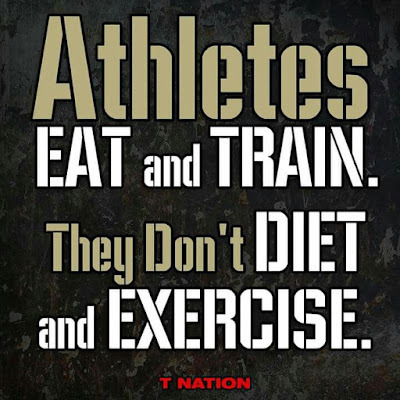 If you are active, and especially if you are lifting weights, you need to view food as FUEL. What many people fail to realize is that what you eat the night before and the morning of can have a huge affect on your workout. It can be the difference between having a great workout and feeling strong, or having a crappy workout. If you didn’t eat enough calories or enough carbs the day before, then you’re probably not going to have the energy to push hard or to lift heavy. On the other hand, if you ate too much junk food, then you may feel tired and sluggish the next day. Case in point: I had a client the other day who was really struggling to get through the metabolic circuit portion of her workout after her strength exercises. Come to find out, she hadn’t eaten anything that whole day. Noooo bueno. Needless to say, she learned her lesson. Now, let me make this clear: I am a firm believer that the food you eat absolutely should taste good! By saying that food is fuel, I’m not saying that you shouldn’t also enjoy it, because you should. But… if you are lifting weights, trying to build muscle and/or transform your physique-the way you eat is about more than just satisfying your taste buds. It’s about eating to support your goals. If you want to build muscle, you have to eat slightly more calories than you burn. 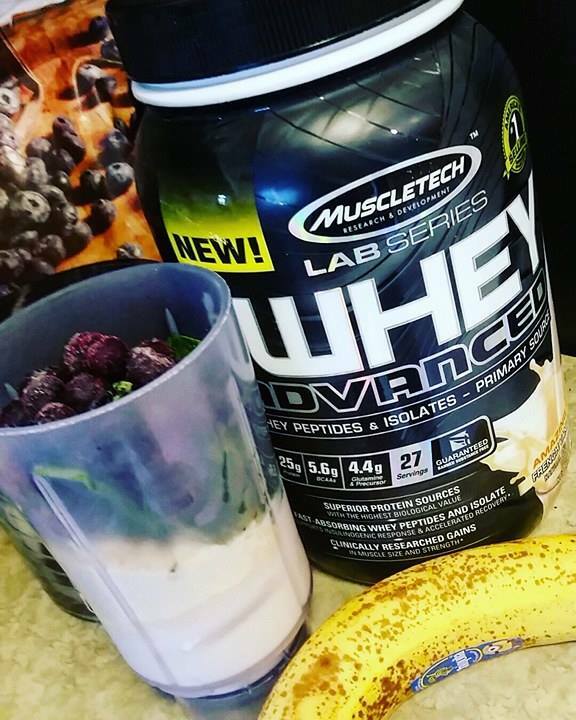 You have to be eating the right things(namely, protein and carbs) before and after your workouts so that you can push hard in the gym and lift heavy and to rebuild the muscles that you’ve broken down during your workout. You can’t eat like a bird and expect to build muscle. Similarly, if your goal is to just get really strong, then you have to eat enough, especially before your workouts, so that your muscles have the energy and endurance they need to lift heavy weights. Believe me, you’re gonna have a real hard time getting stronger or setting a personal record if you are not properly “fueled” on a heavy lifting day. Even if your goal is fat loss, you still need to be strategic in how you eat around your workouts in order to prevent muscle loss as you diet, as well as to give you energy to get through your workouts, especially if you are lifting or doing high intensity interval training. When you view food as fuel-that is, as something that provides you with nutrients and gives you energy, strength and endurance for your workouts-it totally changes the way you eat. Instead of viewing food as the enemy or restricting it just to lose weight or to get skinny, you start to see it as a good thing. You see it as your friend and NOT your enemy, because you know that if used the right way, it is something that can actually help you by enhancing your workouts and helping you to gain muscle and strength. Having the mindset that food is only for pleasure or that it’s “evil” are both wrong ways to view food. While you shouldn’t give in to every craving for junk food any time it hits, you also shouldn’t be miserable eating foods you don’t enjoy, or denying yourself the calories that your body needs to thrive and function. 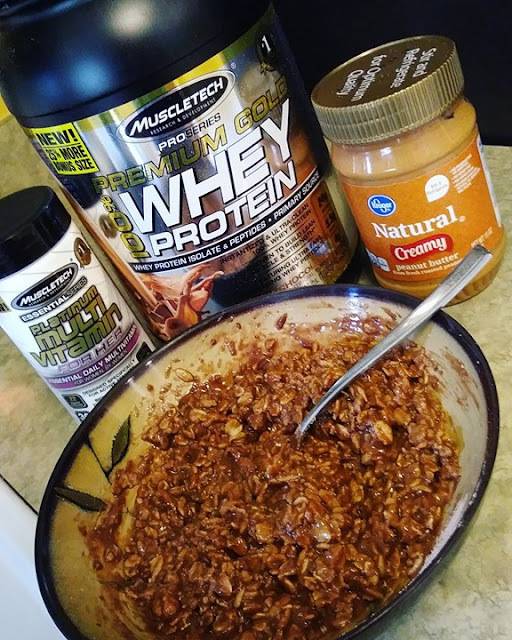 We could all learn a little something from athletes, powerlifters, and bodybuilders-they understand the power of food and how it can support their goals and either hinder or enhance their athletic performance and/or muscle building capabilities. And just because you aren’t an athlete, powerlifter, or bodybuilder doesn’t mean that food isn’t just as important in supporting your goals and fueling your workouts. Let food work for you, not against you!